Upgrades and features in this custom open concept site built home finished in 2012 on one acre in town make it the one you want to see right away. 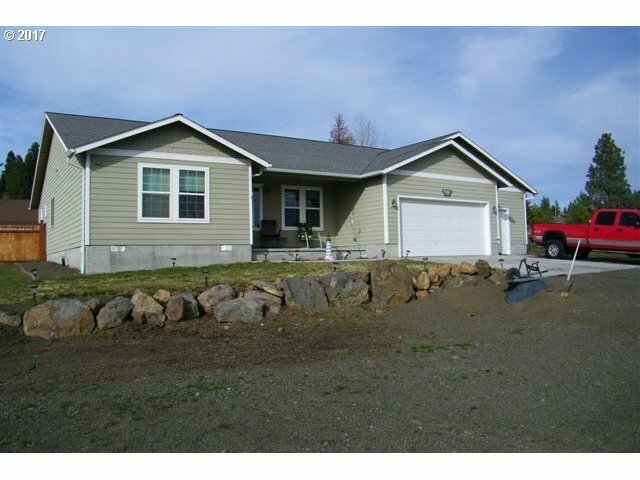 There is an attached garage plus a man cave 36X48 RV size garage/shop. Knotty pine cabinetry, oak hardwood floors, superb master bath. Better than new with the yard established, garden shed, patio and backyard fencing.